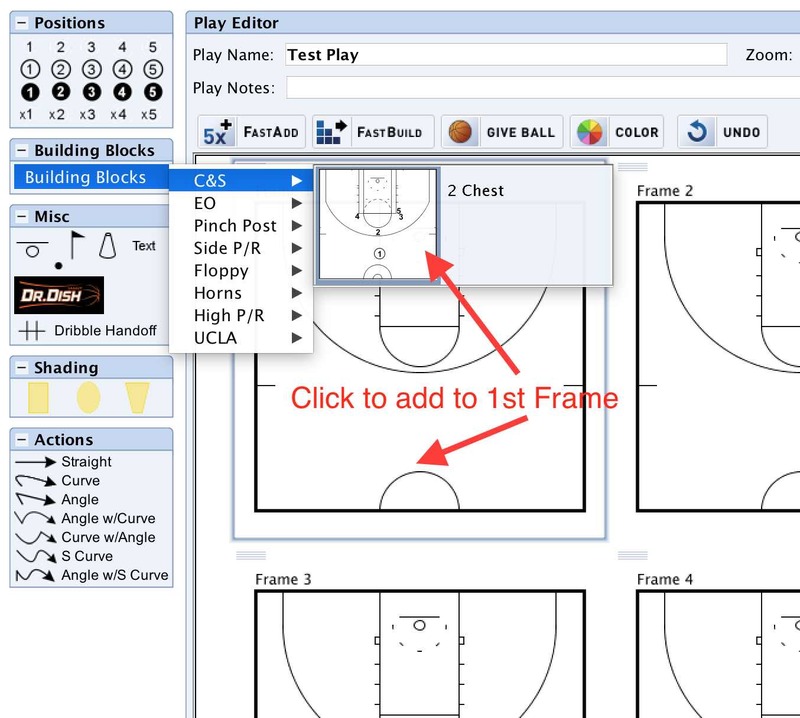 Once you have mastered the basics of drawing plays and drills in FastDraw, you can begin to utilize more of the following advanced drawing tools available to you as a FastDraw user. 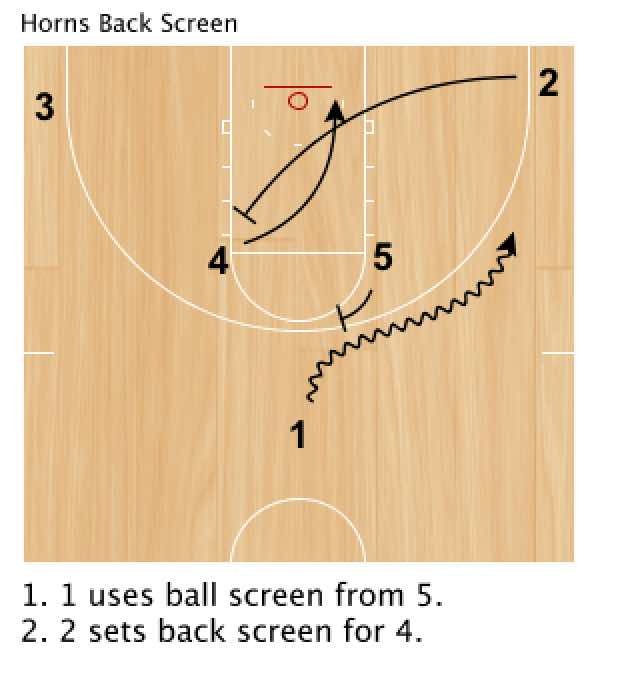 Building Blocks are a time saving tool that allows you to create formations or commonly run plays and use them as templates when creating plays so you don't have to keep re-drawing similar actions. To create a new Building Block, click the New Play icon to start a new play, and change the Type in the top right corner from Play to Building Block. Once you have created a Building Block, you can find and edit your Building Blocks by clicking the Building Block tab to the left of the Play Library window. To add a Building Block to any frame of a play, click the Building Blocks palette and select the Building Block that you would like to add. 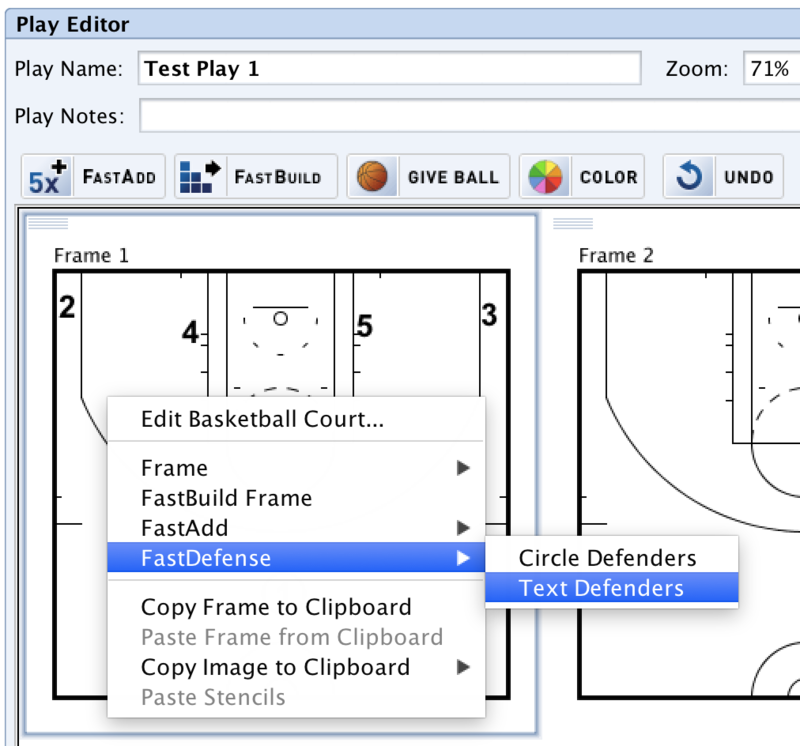 Defensive players can be added to any FastDraw diagram, either by manually dragging defensive player stencils onto the court, or by using the FastDefense feature. 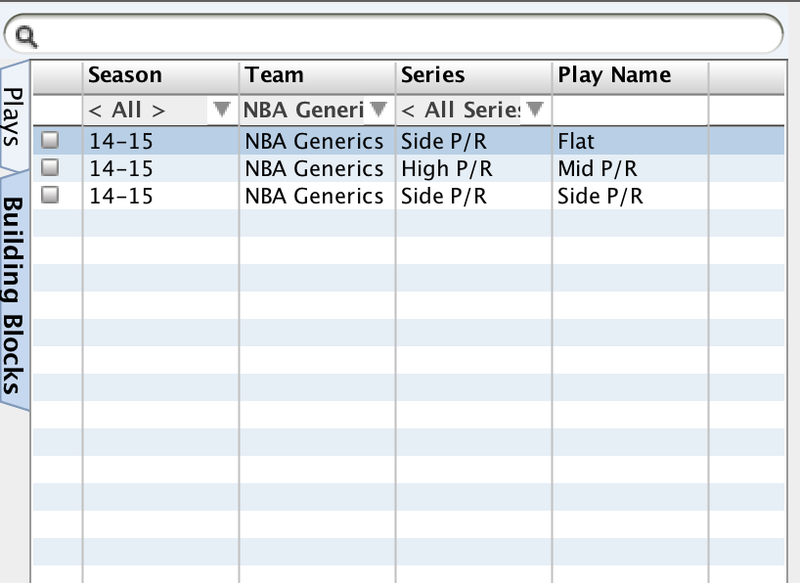 If you have already added offensive players to the court, quickly add 5 corresponding defenders by using the FastDefense feature. FastDefense can be accessed by right-clicking within the frame and selecting FastDefense, and then selecting either circle or text defenders. Color can be added to any stencil on the court using the FastColor feature. To add color, first click the player or action that you would like to change, and then click the Color icon. In the FastColor menu, select a new or recently used color to add. Click OK to see the color added to your selected stencil. 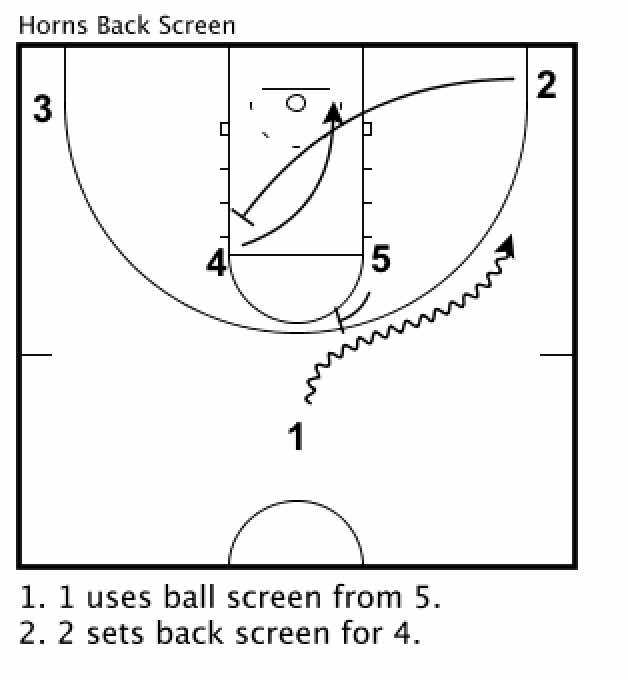 When you are working in the Draw Tab, you can choose between the classic black and white look to the court, or you can choose to use the wood court background. To switch between the two looks, open the View menu from the top menu bar and click View Court Background. When this option is checked, the wood court background will be used. Click again to switch back to the black and white court. 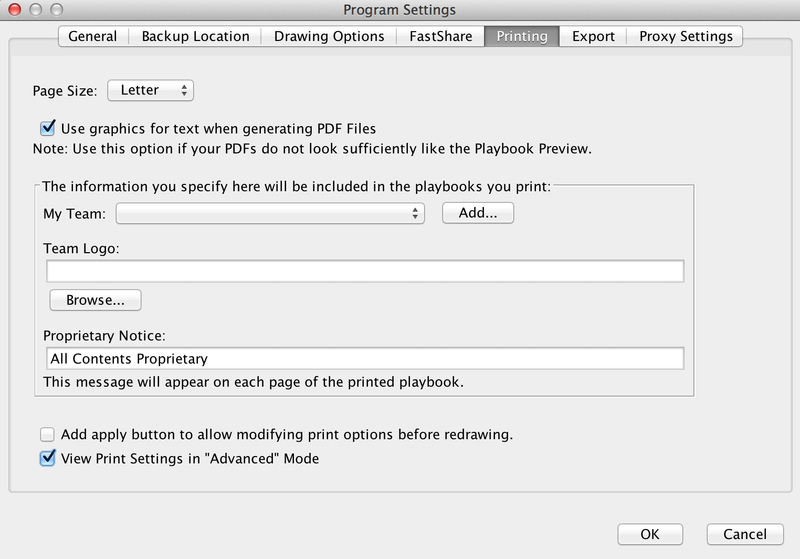 To include the wood court background in your printed playbooks, you will first need to go to the Program Settings menu to activate advanced print settings. In FastDraw, go to the File menu in the top menu bar and select Program Settings, and then click the Printing tab. You will need to make sure the option at the bottom, "View print settings in advanced mode" is checked. Once this setting is activated, open your playbook in the Preview tab and then click the Playbook Settings icon to open the Playbook Settings menu. 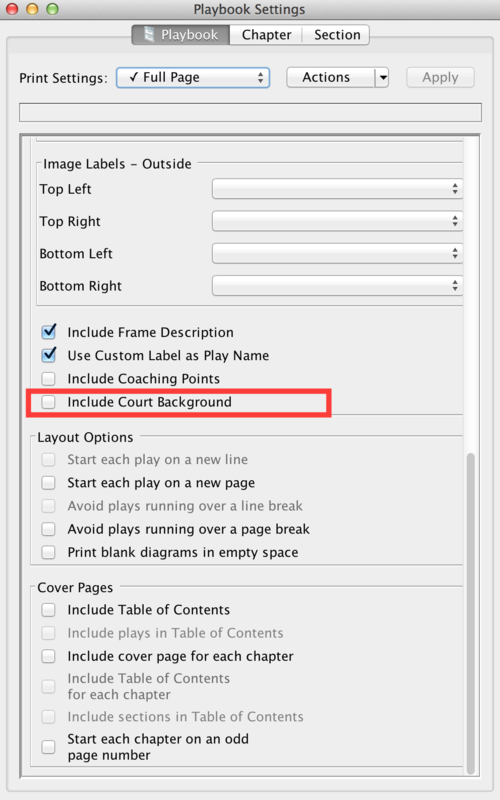 You should now see additional options available in the Playbook Settings menu, including an option for Include Court Background. 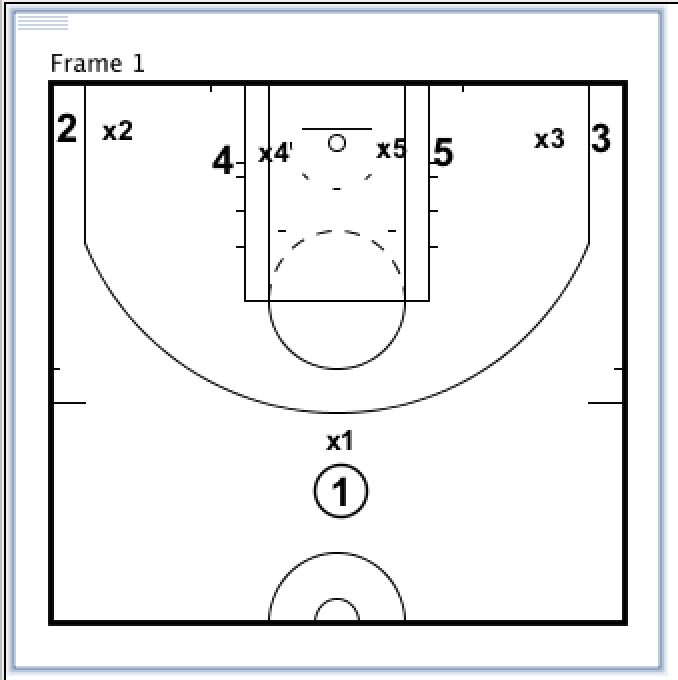 This will add the wood court background to the diagrams in your playbook. The Shading palette in FastDraw allows you to add areas of shading to your diagram and customize the shading color. 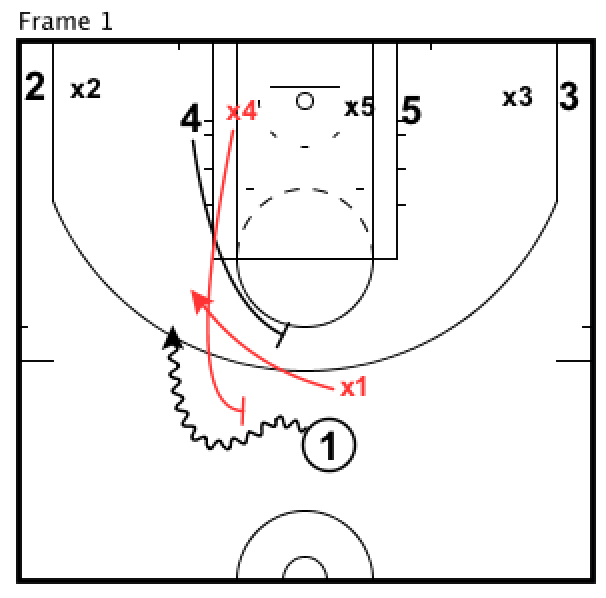 This is ideal for drills and other concepts that you wish to teach to your players. You can add shading to a diagram by clicking any dragging any of the available shapes from the Shading palette. 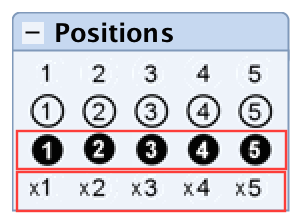 After your shading is added, use the yellow endpoints to adjust the size and shape of your shading area. The color of the shading can be changed by clicking the Color icon, and then selecting your desired color.